Awards & Press – Neanderpaul Speaks! 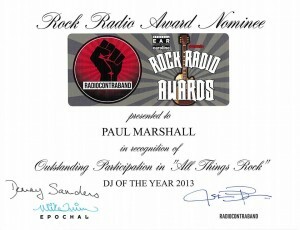 Category Awards & Press – Neanderpaul Speaks! 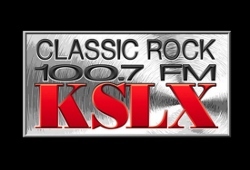 Here’s where any press/interviews I’ve done & recognition by the industry live. I’ve been very fortunate to receive some awards for my work, and it’s gratifying to have your peers acknowledge your accomplishments. It makes you look cool? Click Image To Read. 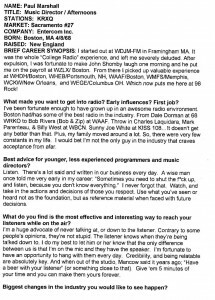 I was asked when I was between leaving Sacramento and starting in Boston, my opinion on the state of Radio. I’ve always believed we have a great job. I love what I do. Always have. 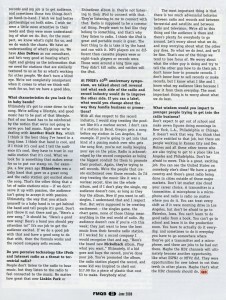 This was an interview done after I was inducted into an industry trade magazine called “Friday Morning Quarterback”‘s Hall Of Fame. I guess they think I’m good! Click images to read. I Am A Hall Of Famer? 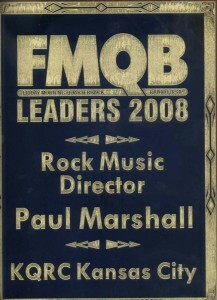 In 2008…I was inducted as part of the first class in the Friday Morning Quarterback Radio Hall Of Fame. 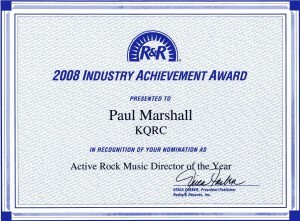 I was named one of the top five Active Rock Music Directors in the industry. It is an industry stroke. But, something I’m proud of. Here’s a little blurb from the Hall Of Fame issue. 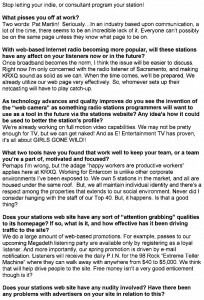 You can also read the interview elsewhere in this section. Click image to read.